A breezy, lightweight hoodie that’s soft, stays clean and moves with your body. 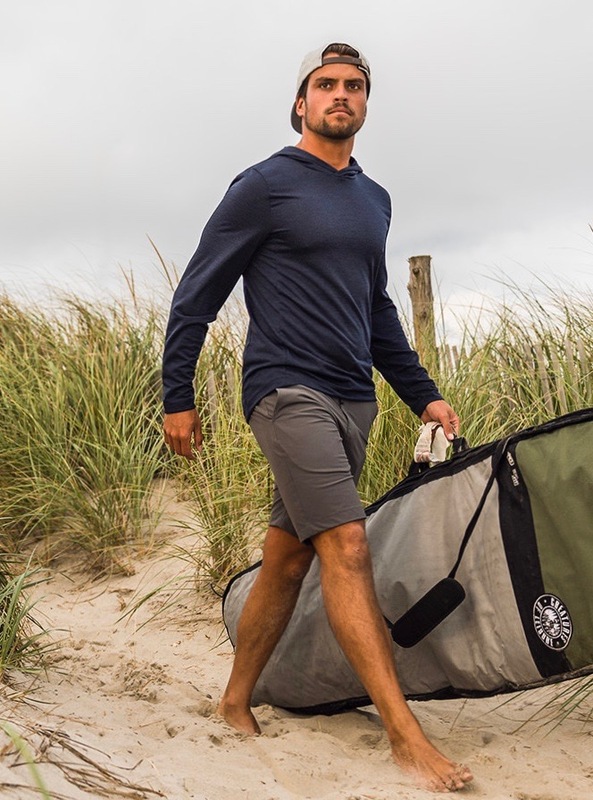 Biking around town, hanging at the beach, or casual Friday nights - Built to keep you cool, comfortable and clean, the DryKnit Sun Hoodie rises to every occasion. Thanks to a dimensional, open pique knit polyester the DryKnit Sun Hoodie breathes like a mesh and feels soft against the skin. A gusseted underarm and stretch in every direction give the DryKnit Sun Hoodie an impressive range of motion like a performance tee. We topped it off with a light stain-resistant finish to keep you dry, clean and fresh no matter what your day brings. Do you have more questions about style or fit? Check out this garment's specific size details in the size tab below or give us a shout at help@westernrise.com. We are here to help. This was the perfect hoodie on vacation. Highly recommend this one. I purchased this product to use as the weather heats back up, the fabric is a Jersey type knit making it very breathable, and the DWR is holding up just fine so far! I really love the fit and paterning on this hoodie, for reference I am 6ft 175 lbs and the large fits good with great torso length and sleeve length for decent top hand coverage and a generous hood to keep the sun off your neck and face. But best of all I love that the underarms are gusseted, and it’s made right here in the USA!! ?? The elbows also seem to be articulated, these are all features that are extremely uncommon and its nice to see Western Rise included them! 10/10 would recommend! It is indeed a top wearing experience! Excellent fabric, the DryKnit Sun Hoodie fit me perfectly and the overall feeling is that of wearing a very light and fresh item. Well done guys! The shirt has a nice feel, but fits kind of strange. I like the hood for shade and will keep the shirt for that purpose. DryKnit is a light, airy pique knit polyester with just the right weight and a soft hand-feel. Performance fibers knit into a mesh-like fabric that moves with the body, breathes like a dream, and is ready for just about anything. The fabric is finished with a nano-scale durable water repellant to stay dry in a light rain storm or dry quickly if it does get a little wet. Designed and sized for a slimming yet comfortable fit. For reference on sizes a measurements see our size and fit guidelines. This piece has a Durable Water Repellent application, and will absorb less odor and staining. Thus, it can and should be washed less frequently.